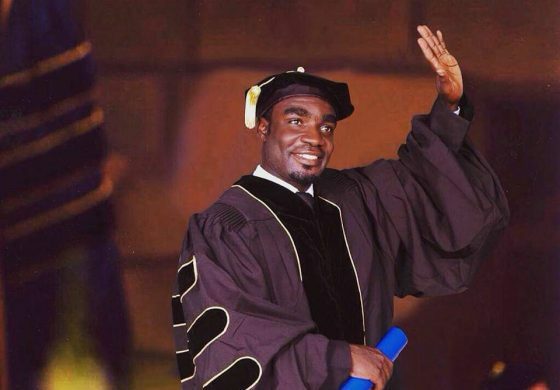 News went viral about how a former UCC student, Sebastian Roy Osumanu, made history by sweeping five awards at the University of Amsterdam after successfully completing his PhD which was also published by choicism.com but according to Pulsegh.com, the whole episode was a sham. 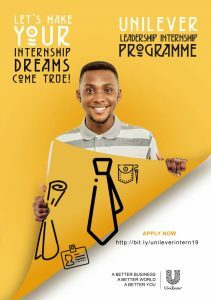 According to Pulse.com.gh, Sebastian Roy Osumanu DID NOT win any such laurels at the University of Amsterdam. “We contacted the University of Amsterdam Press Office on suspicions that the story as reported by many media houses was not accurate. The officials of the university outrightly told Pulse.com.gh that they had no records of the student by the name, Sebastian Osumanu,” reports the website. 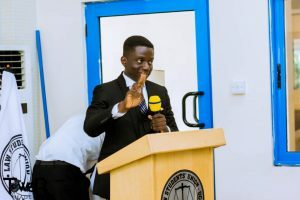 The website further reported that the officials of the university outrightly told Pulse.com.gh that they had no records of the student by the name, Sebastian Osumanu. They subsequently revealed to Pulse that there was no such incident where a student swept that many awards in a single graduation ceremony. In response to our query on how such pictures used to corroborate Sebastian Osumanu’s “feat”, the official replied, “There are photoshopped“. That single answer confirmed our suspicions and opened our eye to the truth that was always lying in front of us. The photos which have been used by almost all media houses to accompany the story of Sebastian Osumanu were indeed photoshopped. A quick search on Google revealed that the image is indeed from the Doctoral Degree Ceremony from the 2015 Commencement of the University of Rochester. The picture which was clearly edited to superimpose head of Sebastian Roy Osumanu on Ralph Locke, Professor of Musicology at the university. The original picture showed President Joel Seligman presenting Professor Ralph Locke (right) with the University Award for Lifetime Achievement in Graduate Education. In another report, UVA states that the academic year had not yet begun on September 1. They also revealed that PhD students also do not wear a gown during their graduation ceremonies. Also, the prize he said he won in 2014 is unthinkable. Even though the Erasmus Mundus exists, the Nobel Prize is not awarded by the organization. Again, Osumanu did not get a mention on the success stories pages of any of these institutions save the home page of the University of Cape Coast. He is mentioned in the spotlight section on the university’s website alongside supposed success stories of the institution. Pulse.com.gh reached out to Sebastian via the official World Bank Group email address listed on his social media. However, we got a response saying that the email address listed does not exist. It would look like the story of Sebastian Osumanu is actually no better than that of legendary Ghanaian trickster, Fauster Atta Mensah who tried to lie to Ghanaians that he had won a Nobel Peace Prize among other laurels. 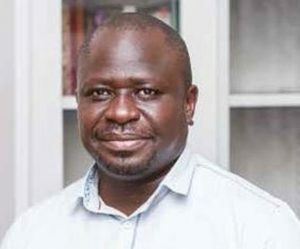 Now pick your phone, call that aunt, mother, father or uncle, and tell them to stop pressuring you that much because Sebastian Osumanu is nothing but a fraud. Sebastian Osumanu reached out to Pulse.com.gh and denied the claims of the University of Amsterdam against him. He told Pulse that the officials of the school are out on a grand plan against him.